Well, then my guess is that it is a diving hat of sorts. It comes with the merfolk attire. I have it, so next time I can get in game I will show you. So should I write out a fight between me and Unknown? Or should I simply wait for Miss K to intervene? And if we did fight who do you think would win? As @Snoelle_Fitzshine said it looks like a diving hat. Let me see if I have it. 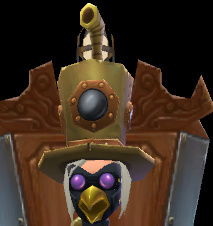 So it is the diving hat you get from the companion engines. Ah, that is why I have never seen it before. Why would it suddenly appear on @Cinder_Darkedge's head? I'm not sure, if he doesn't have it in game then it's probably a glitch. He can contact support if he really doesn't want to wear it and it wont come off when he changes hats. So are we going to pretend like this never ? I believe that it should have gone in the discussion topic of that particular role play. Oh, sorry. I was just randomly posing a question. Oh! So sorry, so sorry! Win or lose if you like. Yes, a fight would be great. So I've been working pretty hard on several things. I've been trying to keep my three boys busy, making sure that they don't get lazy. I'm really happy that you guys liked them as much as I do, and they really appreciate the love. YOU GUYS ARE THE BEST! Thanks for making this place SUPER AMAZING to play in, and let my characters roam free. I've taken a lot of care in creating my boy's to be the men they are today, and you guys have helped me FANTABULOUSLY! I honestly couldn't be more proud of this place. I'm also really proud of the way these three have been, and I love them to DEATH. Be sure to stop in and tell Erik, Hyde, And Jekyll I sent you, and DON'T BE SHY! They love to talk as much as I do, so go say hi, tell them I sent ya! Well done, Mother Bhaer. Tell the science boys that their Aunt Eerie said hello. Does that mean you are the owners of them. . . ? Yep! I love my boys. They mean so much to me. Hi Vy! I don't think I was here for the majority of the time you where here full time, but I 'preciate ya! Say hi to Cinder, he's great too! ( @Cinder_Darkedge ) He's new. Hands you a steaming cup of 'coffee' for Hyde and an asprin for the Doc. I also think i'm a Phan now.